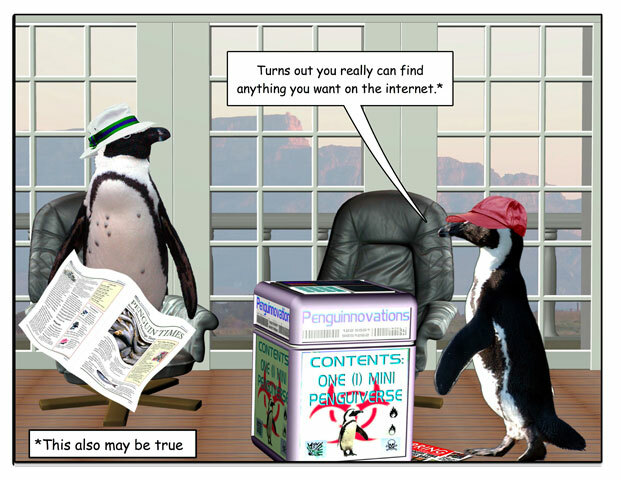 This week’s penguin: Nest hunting in the 21st century. 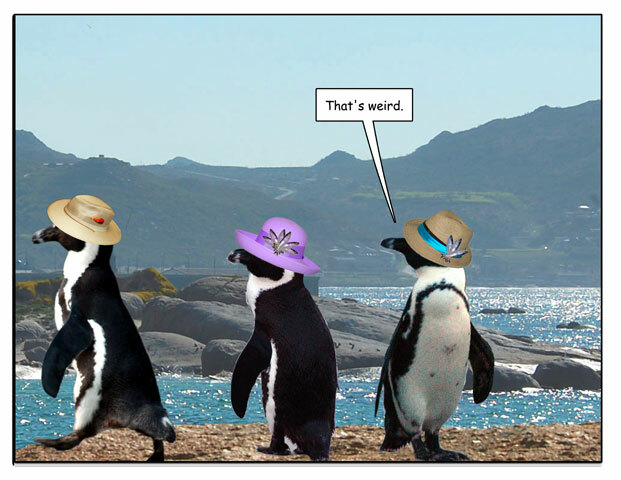 I’ve been inspired by the Penguin Lady; her book, “The Great Penguin Rescue,” comes out in December this year (on Facebook? 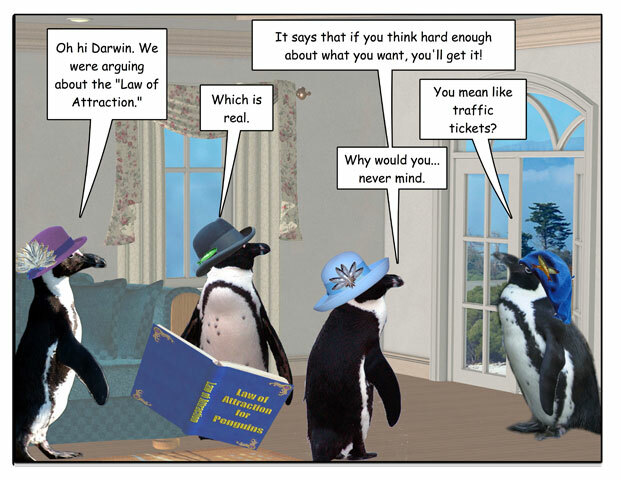 become a fan for more info.) 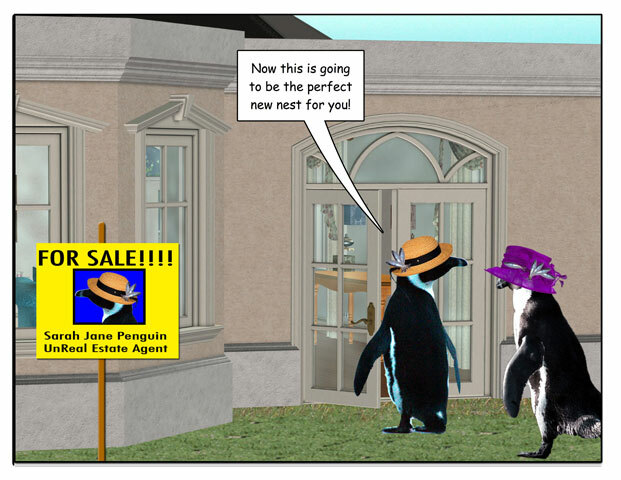 She’s donating some of her profits to penguin rescue organizations, and I decided to do the same. 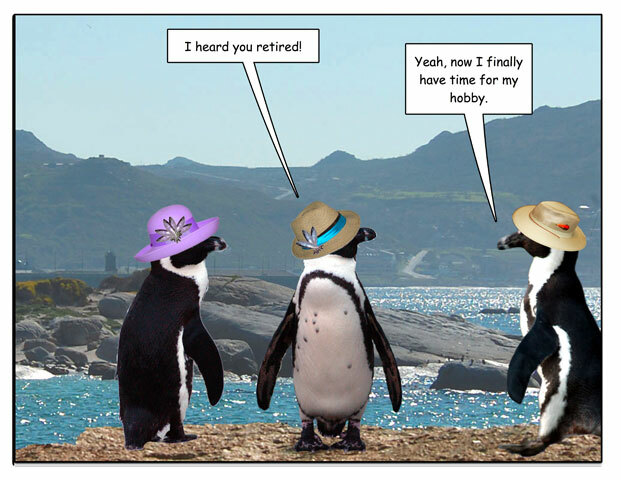 So I just got my cafepress check (I’m not getting rich off my store by any means, but it does now more than pay for itself) and donated 10% to SANCCOB‘s Penguin Rescue project. 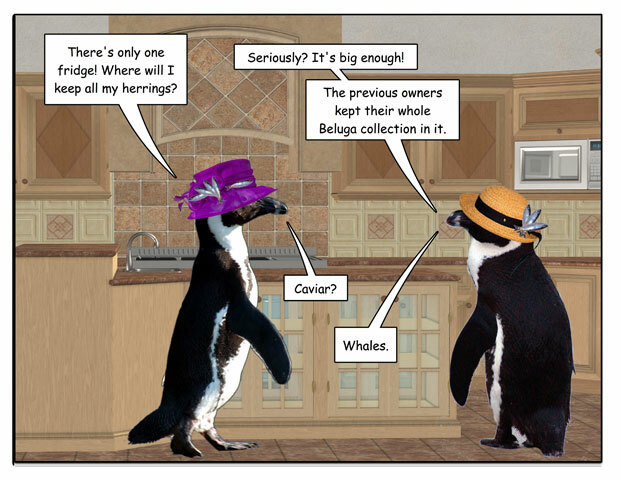 So I don’t wimp out in future, I hereby commit to donate 10% of my cafepress revenue, from now on, to SANCCOB. 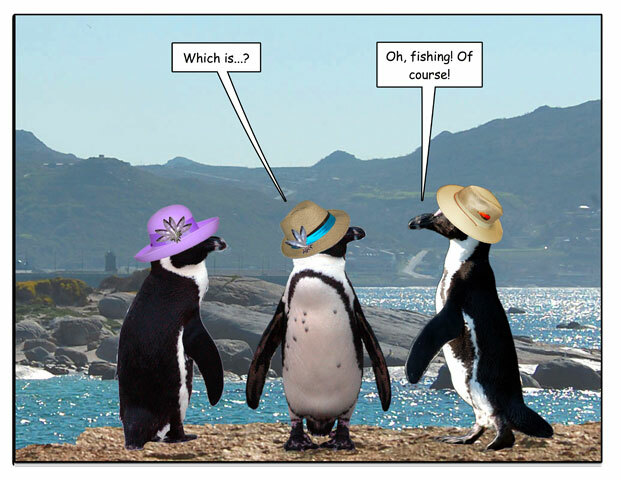 I picked SANCCOB because I’ve been there, but the other organizations listed here do a great job too. 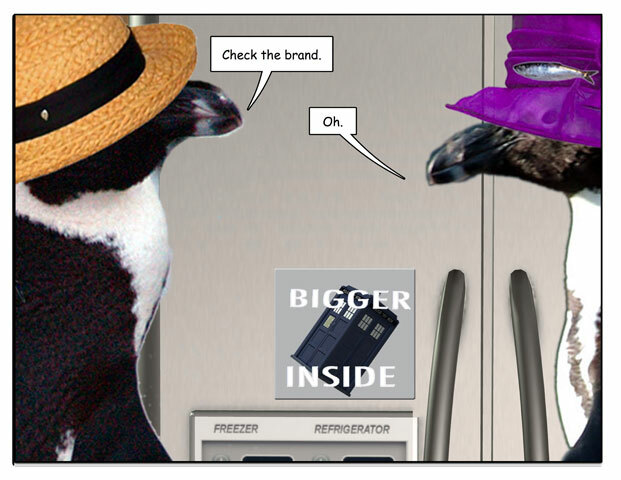 Disclaimer: Most of the price of a cool cafepress item is actually the base price of the item; I only get a small markup, and I’m just donating a small piece of that. 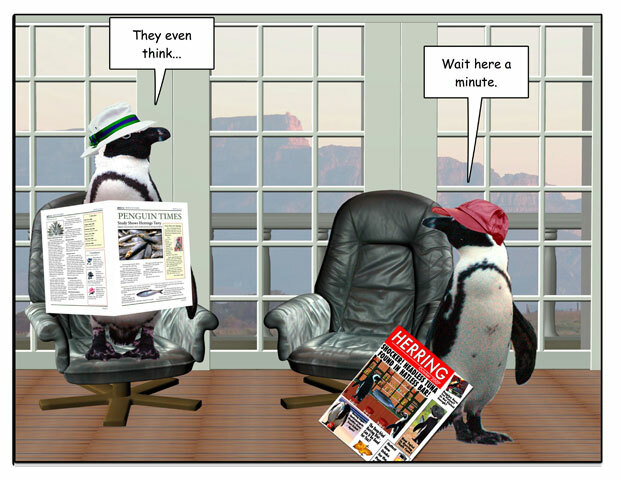 So, if you really want to save penguins, go throw some money at one of the fine organizations working to do that. 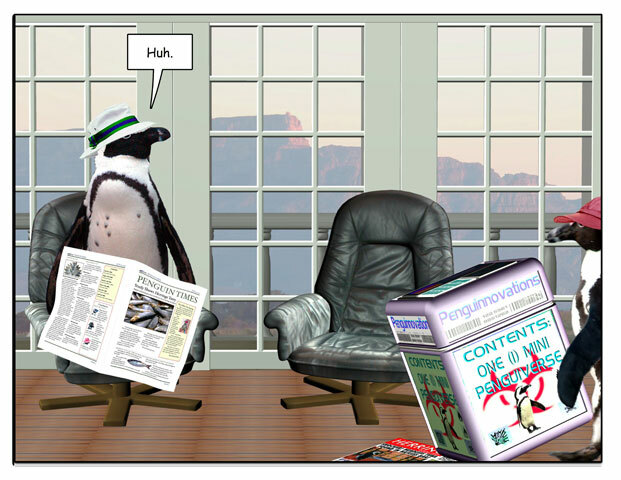 But if you do want to buy my penguin swag, you can now feel 10% of a buck or two per item’s worth of virtuousness. 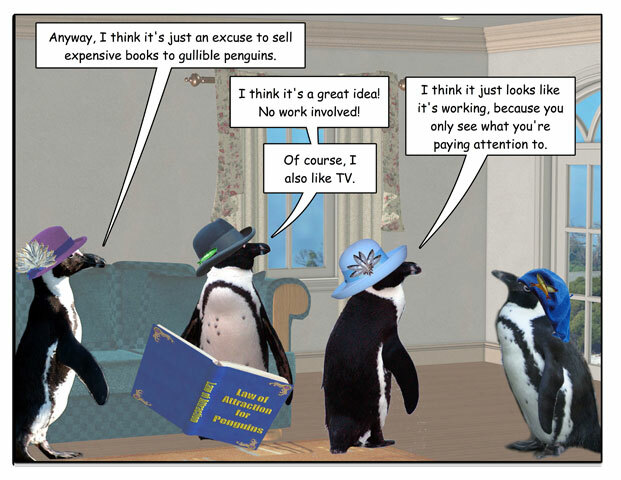 This week’s penguin: You still have to be careful what you wish for, though. 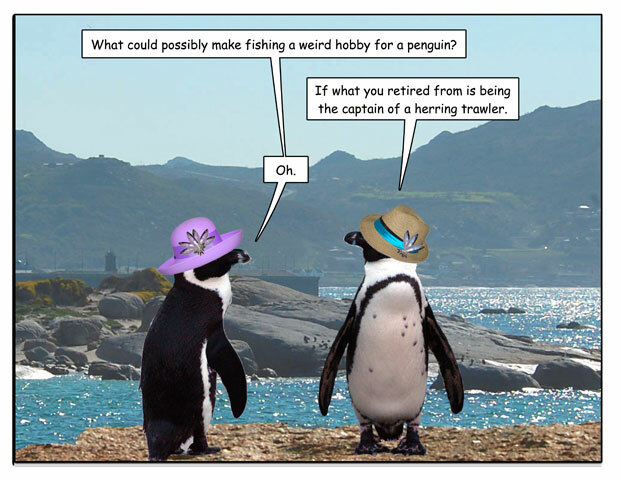 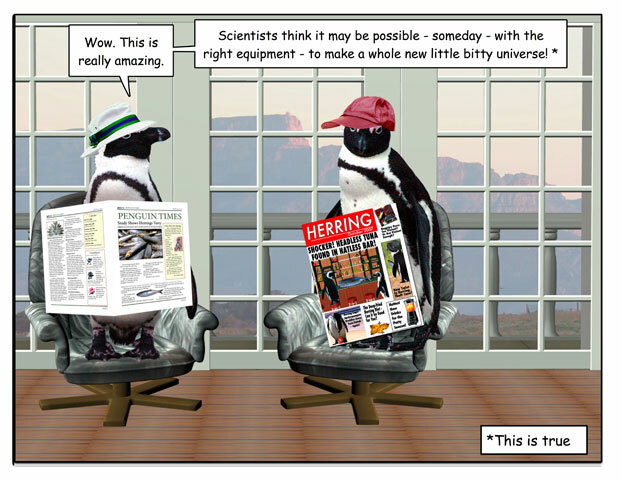 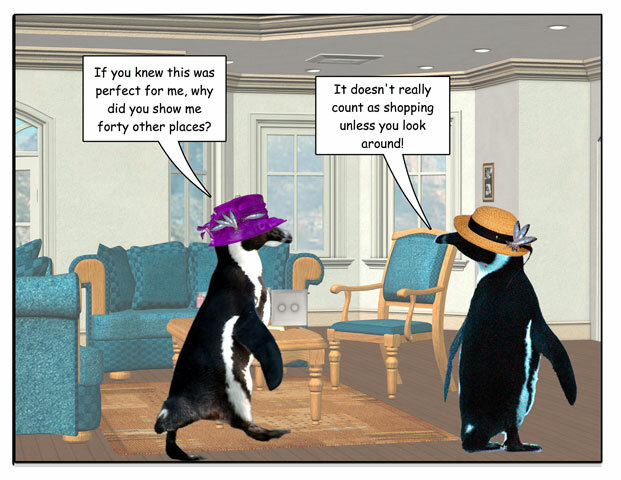 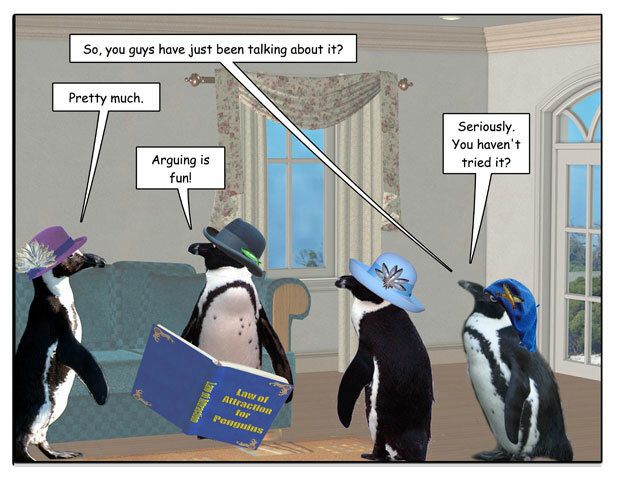 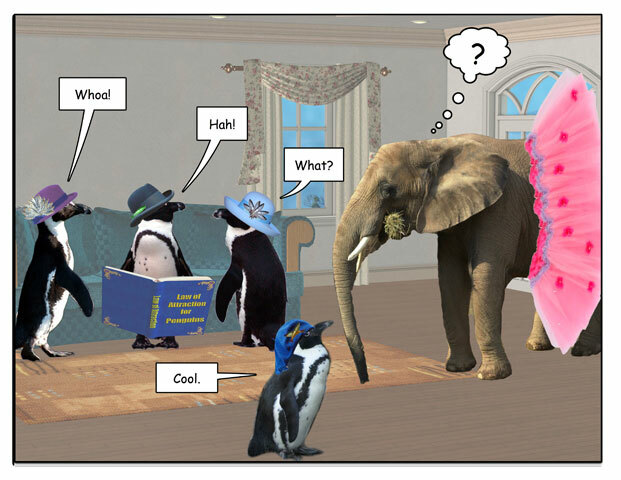 This week’s penguin: An odd hobby?